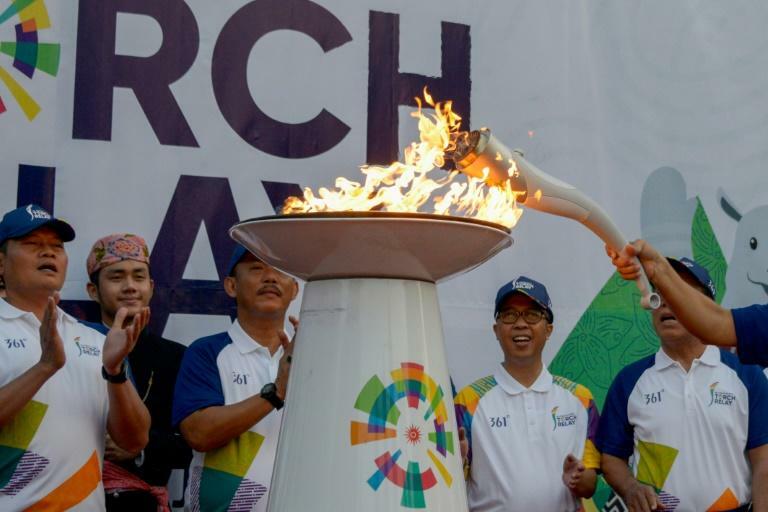 The torch for the 18th Asian Games reached Indonesia's capital Jakarta Wednesday, ending a month-long journey across the Southeast Asian archipelago nation. It was welcomed in style by marching bands, traditional dances and concerts, after starting its journey in the host country's cultural centre Yogyakarta on July 17. The flame was lit in India's capital New Delhi, which hosted the first Asian Games in 1951. Organisers hope the torch relay will attract at least one million spectators across the sprawling Indonesian capital. Some 10,000 torch bearers, including Indonesian badminton legends Rudy Hartono, Icuk Sugiarto and Ricky Subagja, will be taking part in the relay. The torch is set to arrive Saturday at the Gelora Bung Karno stadium for the Games' opening ceremonies, ending its 18,000-kilometre (11,200-mile) journey across 54 cities. Indonesia is hosting some 11,000 athletes and 5,000 officials from 45 Asian countries for the August 18 to September 2 event.